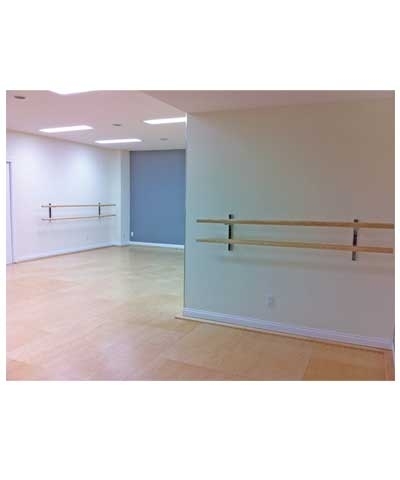 Develops flexibility and strength for dance, fitness, gymnastics and rehab. Ground Shipping: $60.00. Please use the quote request when purchasing 4 or more units for possible savings on shipping. 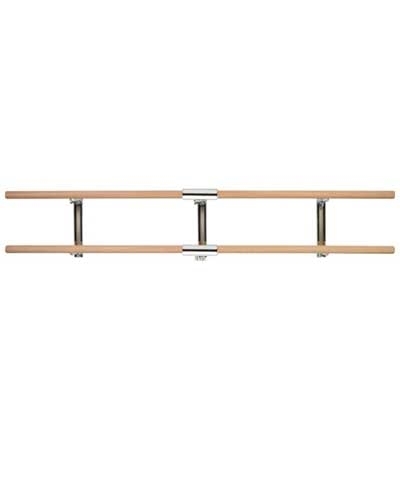 This 16FT Dance, Fitness and Gymnastics Double Adjustable Wall Ballet Bar features two 1.75" diameter Ash Wood Bar and Chrome Plated adjustable Wall Brackets. 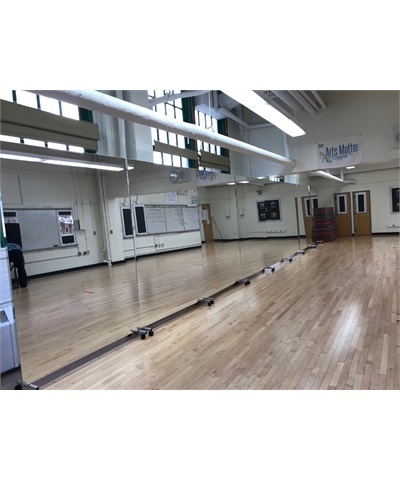 Perfect for any Dance Studio, Gymnastics Center or Home Studio. 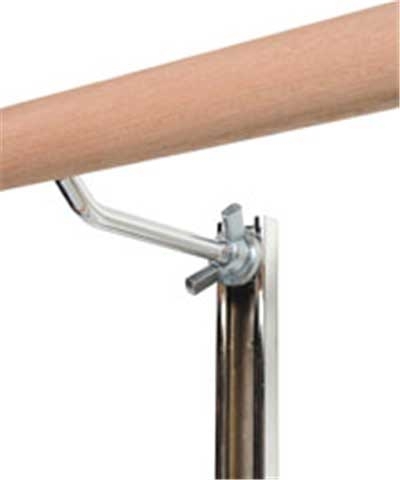 The 16' barre is made up of two 8' barres with a center connector bracket. This allows the unit to ship Fedex ground instead of motor freight-a substantial savings. 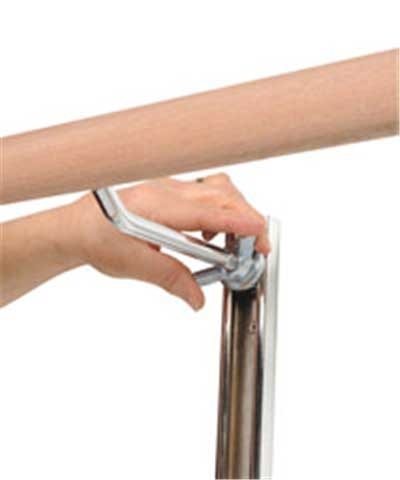 Wall brackets are 1-5/8"W x 15"L and made of chrome-plated steel. Hole spacing is 8.25" apart. Bracket spacing: 2 @ 80" apart from center with 16" overhang beyond each bracket. Bar easily removed for storage.